Covered patios, privacy with lush landscaping and manicured gardens, this Millillie Medallion Home offers sprawling living space and large private bedrooms for luxury living. 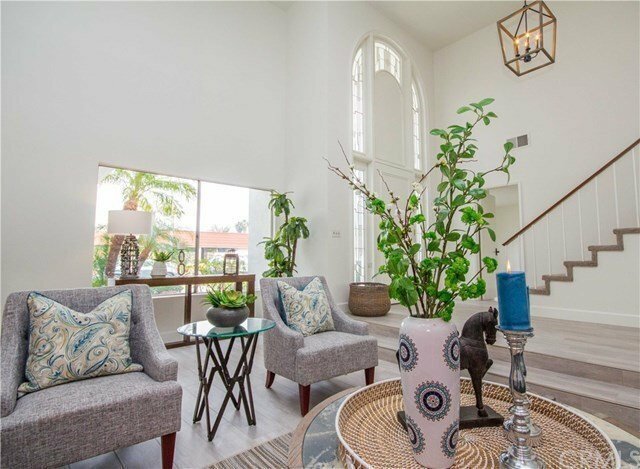 Remodeled and in the heart of North Tustin is this gorgeous home is tucked in to the middle of an exclusive neighborhood known as Darmel Place.The character of this house is undeniable with its high arched front doorway, tall ceilings, and an open floor plan. Entertaining in this home will be amazing with it futuristic and high-tech kitchen that is a main eye catcher. To add to the luxurious lifestyle this house provides, is the rose gardens, avocado tree, banana tree, and fresh garden planters that await you in the large and relaxing backyard. This house offers endless possibilities.